I've always dreamed of taking vocal lessons for so many reasons and I think I've found my vocal coach Queen/Grandmother/Hero. All I can say is Paula Wolfson... where have you been all my life honey. 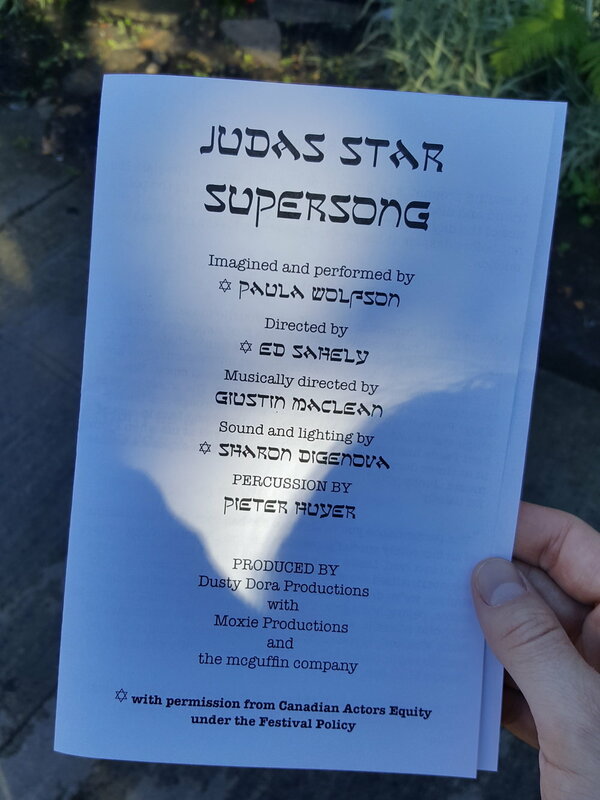 Through a brief 45 minute rapid fire of the most gorgeous singing and life changing belting chops - Paula takes us on a journey through Jesus Christ Superstar. What a beautiful experience in a spectacular venue with a nurturing dame. A must see!